For easy retrieval of gas leaks. 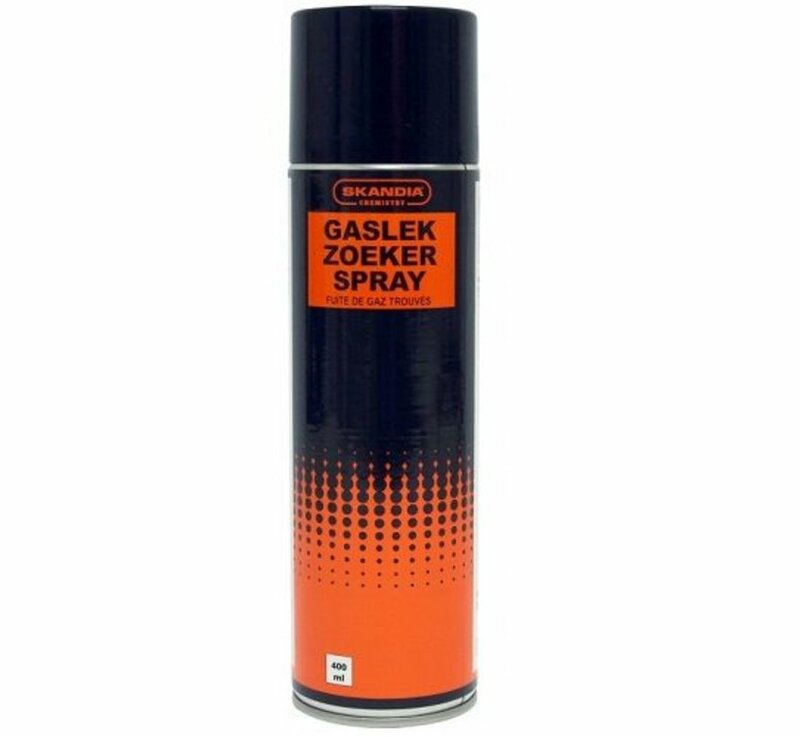 Aerosol content: 400 ml. 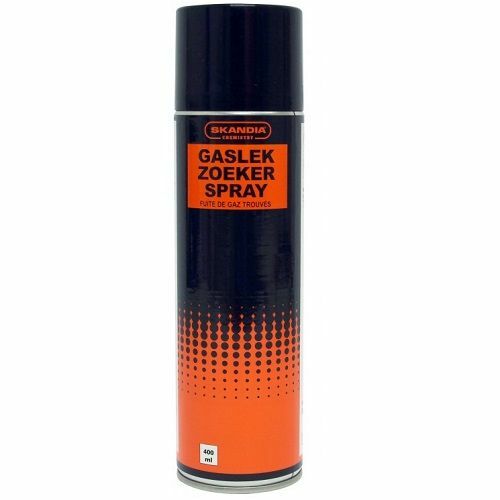 Skandia gas leak finder spray - gas leak search spray 400 ml. For easy retrieval of leaks in gas hoses, gas pipes, fittings, valves, faucets and so on! 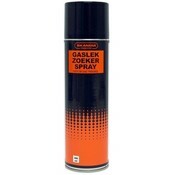 This Skandia gas leak search spray is suitable for all kinds of gas. Also applicable to all combustible gases (including oxygen and freon). Subject spray fragrance free and contains no oils, silicones or solvents.